As reimbursement models uphold outcomes over volume of services rendered, hospitals are tasked to improve the health of the populations they serve both within and outside of their walls. Given its capacity to reach patients in their homes, provide early intervention and care for minor conditions and alleviate overutilization of hospitals’ emergency rooms, telemedicine has become an integral part of many hospitals’ core patient access strategy. In a recent webinar, Matt Stanton, senior director of distance health at Cleveland Clinic, and Danielle Russella, president of customer solutions at American Well, discussed how Cleveland Clinic incorporated telehealth into its spectrum of care and services. 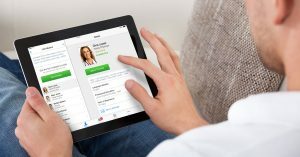 In September 2014, Cleveland Clinic partnered with American Well to deliver urgent care via telehealth. The partnership set out to increase patient access to care, support Cleveland Clinic’s transition to value-based care, improve efficiency and expand the system’s reach to new patients. Although Cleveland Clinic’s partnership with American Well began with urgent care, it has since expanded to cover a range of services, from specialty follow-up care to remote second opinions. Postoperative follow-up care, home care, chronic care and behavioral healthcare are all areas ripe for remote intervention. For chronic care, in particular, Cleveland Clinic has seen success with a few different initiatives. The hospital is nearing the end of a six-month hypertension pilot project, during which roughly 100 patients would track data from remote monitoring devices at home. That data was integrated with Cleveland Clinic’s telehealth platform. Providers could then view these vital signs, such as blood pressure, during scheduled virtual visits, to help patients manage their care. Incorporating telemedicine into a health system’s strategy presents opportunity to create innovative tools to support population health management. For example, Cleveland Clinic is working to develop an app for patients with chronic back pain. Once complete, the app will be introduced to patients who come to the ER with low back pain. Instead of immediately referring such patients to specialists, they can use the app to learn exercises that can help relieve their pain and also track any improvements in their pain level over time. With such tools, patients are empowered to address their condition at home. 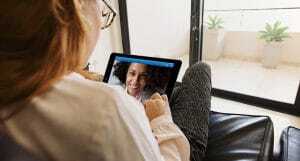 “I think this is where providers need to be thinking about using telemedicine, if we really want to make a difference in our patients’ lives,” Mr. Stanton said of Cleveland Clinic’s expansion into experimental modes of remote care. 1. Staff engagement. To build a shared understanding of the role and value of telehealth with the clinical team, Mr. Stanton suggested reaching out to medical staff directly. Along with staff outreach, Mr. Stanton highlighted how Cleveland Clinic’s CEO has been a strong proponent of virtual healthcare, and has been strongly encouraging department chairs to integrate it into their services. 2. EMR integration. When Cleveland Clinic first launched its telehealth program, physicians scheduled e-visits without EMR integration. 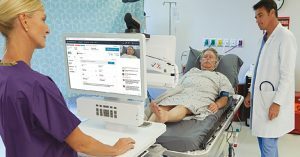 This posed an issue for physicians who were looking to bring information from the virtual visits into their patient notes. Today, Cleveland Clinic’s EMR supports scheduling on the telehealth platform, and automatically inputs data into patients’ medical records based on information they provide online. The EMR has also integrated revenue cycle management capabilities, to help streamline patient payments. “Once we got our scheduled integration done with our EMR, it enormously increased our ability to get departments launched and eliminated all sorts of training we had to do for front desk personnel,” Mr. Stanton explained. 3. Patient awareness. One of the main drivers of growth for the telehealth program also took the form of increasing patient awareness of virtual healthcare services — which often fell under the purview of marketing. To drive patient awareness, Cleveland Clinic launched a few different marketing campaigns, including email outreach. Outside of more traditional marketing attempts, Cleveland Clinic also debuted a telehealth-focused advertisement during this past February’s Super Bowl LI, which Mr. Stanton said led to a spike in traffic on the hospital’s website and app. Through developing innovative remote services and building awareness among providers and patients, hospitals like Cleveland Clinic are able to deploy and establish successful telehealth programs. As outcomes continue to determine an increasing share of reimbursement under value-based payment models, a comprehensive telehealth strategy will continue to help healthcare organizations stay competitive.